Pulsed laser ablation sampling and sequential isotope detection can lead to signal beat in the registered signal intensities. In particular, if aerosol transport systems deliver ablated aerosol with temporal duration close to that of a single mass scan, such signal beat can become significant and lead to biased intensity ratios and concentrations. Averaging signal intensities based on the least common multiple of scan duration and laser pulse period can eliminate such a systematic bias and improve the accuracy of quantitative laser ablation experiments. 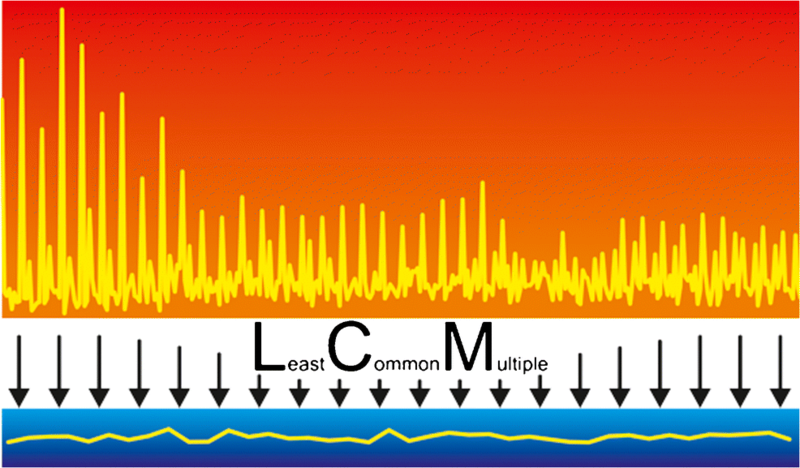 The method was investigated for experiments using an ablation cell that provided aerosol washout times near 200 ms and quadrupole-based ICP-MS acquisition using different dwell and settling times that were compared with and extended by numerical simulations. 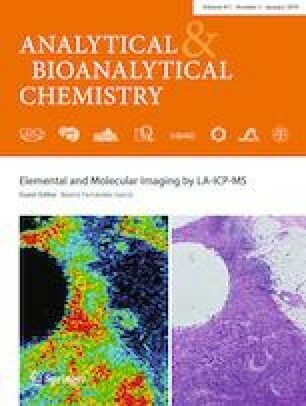 It was found that the systematic bias of acquired data could exceed the inherent noise of laser ablation inductively couple plasma mass spectrometry experiments and that the averaging method could successfully minimize the bias due to beating. However, simulations revealed that this was only the case for combinations of pulse frequency and scan duration in which the number of laser pulses within the averaged period was an integer multiple of the number of isotopes in the acquisition method. In element imaging applications, this averaging will necessarily increase the size of individual pixels and it depends not only on the laser beam size but also pulse repetition rate and the acquisition settings for a sequential mass spectrometer. The online version of this article ( https://doi.org/10.1007/s00216-018-1314-1) contains supplementary material, which is available to authorized users. Roland Mäder is very much thanked for designing and manufacturing the ablation cell that made the experiments possible. This work was made possible by funding from the ETH Zurich.